While in the UK, as an employee, you should keep in mind that dangerous situations that can negatively affect your health, impair the quality of your everyday life and in extreme cases lead to disability are not a rare occurrence. A certain protection is, therefore, insurance. Individuals and institutions responsible for public security and the safety at work can be sued by a professional claims management company to compensate any losses. The brain is known to be very delicate and critical organ, responsible for the operation of the entire body. Damaging it can is dangerous and can, in some cases, lead to disability and even death. 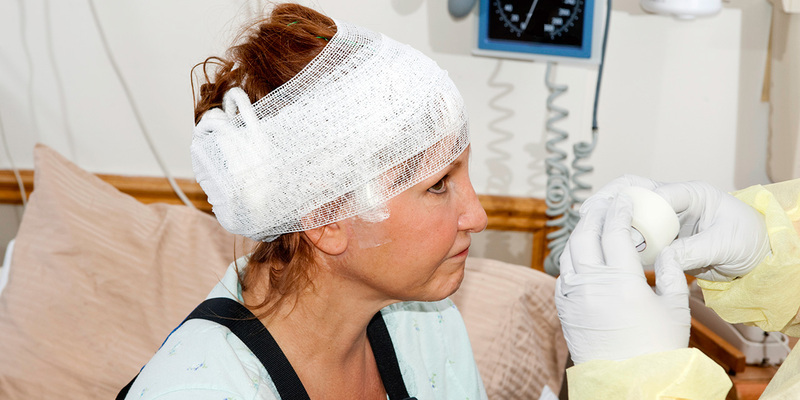 Head trauma is one of the very frequent injuries in car accidents, falls on the street, the stairs, in public places and at work. In the workplaces, such as a warehouse, construction site, factory or hypermarket there is a chance that something will fall on your head. These can be heavy or sharp things that fall on your head when you are not wearing a helmet. A brain or skull injury might be inevitable in such cases! However, there is always someone responsible for the security of a public space or workplace. When it comes to negligence and a certain space is poorly protected and the employee does not have a helmet, you have the inalienable right to claim compensation for be formulated in a different way, e.g. personal injuties/bodily hard. Sometimes a fall or blow to the head with an object may seem insignificant, a person can feel reasonably well, but such injuries can often have consequences later on. You may feel dizzy, have nausea, headaches, dimmed vision and even lose consciousness sometime after the incident. Therefore, do not ignore such a situation and go to the doctor, who will order additional, more complex examinations, such as the MRI or CT scan. This will confirm whether a haematoma was formed, the removal of which is essential for your health or can even save your life. In such dramatic circumstances a person may be excluded for a long time from their everyday life, without the ability to perform professional duties. This can lead to a long rehabilitation that coincides with increased spending and lack of an income. Such a situation can happen in the UK, so you must know that you are entitled to report your problem to a claims management company, such as Insito Claims, which will deal with your case and will help you recover the highest compensation. If we are to fight for the compensation, we have to collect as much evidence as possible in favour of our customer. This may be: all medical records, photos, testimonies of witnesses, bills for rehabilitation, medications, and so on. For example, the amounts that we can obtain are: from £10,000 to £185,000 for a brain injury, while for a damage to the face from £1,125 to £43,000. Do not give up and report your case to Insito Claims. We have been operating in the UK for many years. Fill out the form or call 0208 940 0069 and we will immediately try to consult your problem, assess the opportunity for compensation and provide support in the process with no charge!